In the far north east corner of India, lies the island of Majuli. It is the worlds largest river island, and is home to the Assamese neo-Vaisnvite indigenous culture. For over 100 years, the island has experienced substantial soil erosion due to flooding caused by global warming, and thus far has lost 70 percent of its landmass and is at risk of disappearing. In 1979 a local boy named Jadav Payeng decided to combat the erosion of his island after a large flood washed ashore hundreds of dead snakes along a barren sandbar. It was this event that was a turning point in the young boys life. He moved to the site and built a small house, all so he could dedicate his life to creating a lush new ecosystem for the local wildlife. And since that time, he has planted and rejuvenated a massive 1400 acres of forest. This is an area larger than Central Park in New York City. This new forest, dubbed Molai’s Woods is now home to many animals including rhinos, tigers, and elephants. Payeng has even demonstrated the importance of a balanced ecosystem by transplanting ants to bolster its natural harmony. But his achievement has not been a walk in the park, he’s has to fight local poachers and was seen by many local villagers as an outcast. But he continues to lead a simple life, not driven by money or fame, just the will to protect his local environment. 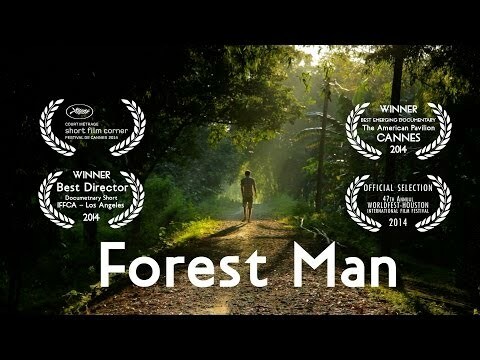 After all these years of sheer dedication to planting, Forest Man gives some well-deserved recognition to a man who has transformed what was once a barren wasteland, into a lush oasis. Despite Payeng’s conspicuous project, it went unnoticed by local forestry officials until 2008 – and since have come to recognize his efforts as truly remarkable, but perhaps not enough.